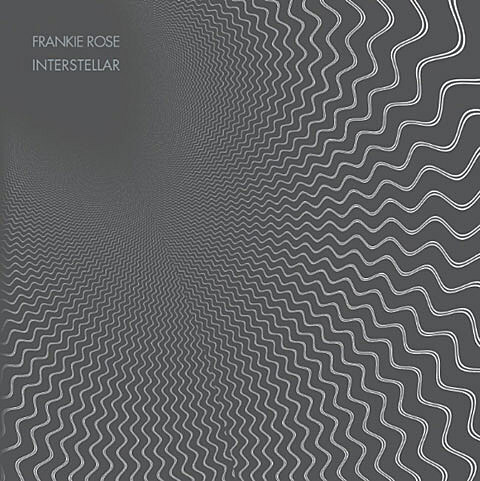 Frankie Rose (and not the Outs) will release her sophomore LP, Interstellar on February 21 via Slumberland. She’ll welcome the new album with a record release show in Brooklyn on the album’s release date, February 21 at Knitting Factory. Tickets are on sale now. As of right now, this is her only upcoming date scheduled. The album’s artwork and tracklist are below. Frankie is also DJing at the BV-presented holiday show at Brooklyn Night Bazaar (12/16) with Fucked UP, Dom, Big Troubles, Caged Animals, Radical Dads, and DJ Bill Pearis. Tickets are still available (and only $10). One night later (12/17), you can catch one of Frankie’s many former bandmates, Dee Dee (of Dum Dum Girls), DJ at Brooklyn Bowl (tickets) and play acoustic at Glasslands (tickets). In other news, Hipster Runoff reports that Frankie Rose’s fellow former-Vivian Girls drummer turned Best Coast drummer Ali Koehler was “missing” at Best Coast‘s San Francisco show on Tuesday (12/6), and “in her place was some other random dude who doesn’t even look alt.” Ali’s Twitter seems to confirm the news with tweets like, “Super moved by all the support I received today. Didn’t know that many people would care. I love you guys.” and “Whether it’s in a basement or at an amphitheater, you will always see me playing music in some capacity. Hopefully sooner than later.” AND “http://alikoehler.bandcamp.com/.” Head there to here a new song by Ali. A happy sad song.